Throughout the year the Central and Southwest Asia Program develops, hosts and conducts training programs in a variety of areas for scholars from various countries. The professional trainings include but are not limited to seminars in Educational Policy, Instruction, Educational Leadership, Science Teacher Training, Instructional Technology, American Studies, Multicultural Competence and English as a Second Language. Select a link below to find out about structure and content of individual training programs. 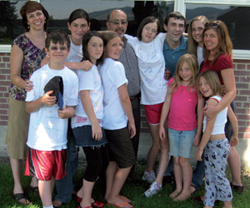 From January to June of 2006, Central and Southwest Asia Program at The University of Montana (UM), in collaboration with UM's School of Education, administered a training program for six Azerbaijani scholars. The program brought the participants to spend six months studying how they could work with their Ministry of Education to strengthen the capacity to plan, manage, and monitor education reform in Azerbaijan. Each Fellow worked closely with a faculty member from the School of Education who served as a mentor. The topics of the fellowships included: national education curriculum, national education curriculum learning standards, natural sciences curriculum development, social sciences curriculum development, educational management and strategic planning, and educational policy analysis. In conjunction with their individual mentorship, the fellows participated in seminars, observed graduate courses at UM, worked with local school districts, and attended numerous local and regional professional development workshops and conferences. In addition to the aforementioned activities, the fellows participated in an intensive English language program studying English through professional content conducted by UM's Special Language Programs. 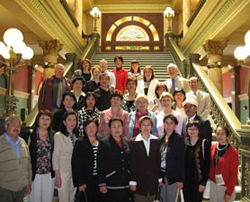 In the Fall of 2007, Central and Southwest Asia Program at The University of Montana (UM), in collaboration with UM's School of Education, administered a training program for 42 Chinese educators entitled the "The Shenzhen Teacher Training Program." The project was comprehensive and utilized a combination of lectures/discussions, activities, and school visits, all designed to maximize interaction and discussion of the trainees' experiences and needs. Education content included but was not limited to new education theories and teaching methods, latest classroom technology, training in development of teaching materials, learning objectives, and course syllabi, as well as homework preparation and practice teaching. The English Language Institute provided extensive instruction to improve the Chinese Educators' daily and professional communication skills in English. 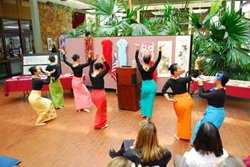 Evenings and weekends were spent participating in a series of events and recreational outings designed to enhance cultural understanding between the U.S. and China. 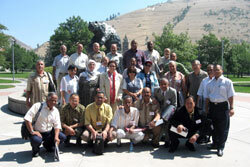 In the summer of 2006, Central and Southwest Asia Program at The University of Montana (UM), in collaboration with UM's School of Education, administered a training program for Egyptian educators entitled the "Implementing and Managing a Decentralized Standards-Based Supervision and Appraisal System Program". The project brought over fifty senior and middle level education supervisors from Egypt for a two-week training program which included observing and studying different models and practices of a decentralized standards-based supervision and appraisal system in the United States. The training program aimed towards providing the visiting educators with a variety of successful supervision and appraisal models in both theoretical and practical contexts during June and August of 2006. In addition to the educational component, the training program consisted of a variety of cultural activities designed to promote a deeper understanding and collaboration between the United States and Egypt. In order to achieve these academic objectives, a variety of site visits were arranged in order to provide a practical observation of a decentralized standards-based supervision and appraisal system in progress. Each group met with representatives from the offices that have responsibilities at the state level. They met the Montana Office of Public Instruction (OPI), including State Superintendent Linda McCulloch, and representatives from the Montana Education Association/ Montana Federation of Teachers (MEA/MFT). To elaborate how practices of a decentralized standards-based supervision and appraisal system vary based upon demographics, the Egyptian educators visited rural, mid-sized and large school districts. To ensure a theoretical understanding, lectures and group discussions were delivered in a classroom format. The training was funded through a grant awarded by the Academy for Educational Development which is under contract with USAID. The Bolashak Program is a semester-long, academically-oriented English Language and Culture program hosted by English Language Programs/Central and Southwest Asia Program. A program sponsored by the government of the Republic of Kazakhstan, Bolashak (meaning 'future') was designed to bring expertise, knowledge and international experience back to Kazakhstan to help build a modern state and meet the demand for experts in a variety of specialized fields. Through a competitive selection process, top students of the Republic of Kazakhstan are chosen to study at certain host institutions around the world, including The University of Montana. Bolashak students live on campus and attend intensive classes at the English Language Institute with students from various countries around the world. The goals of the Bolashak Program at the English Language Institute are: to help students develop and improve their core English language skills in order to prepare them for successful study in a credit-bearing undergraduate or graduate level program in their discipline; to raise awareness and competence in academic study skills; to integrate students into university academic and social culture; and to expose students to values, lifestyles, and norms in American culture. Kyrgyz RepublicFaculty and staff of The University of Montana's (UM) Central and Southwest Asia Program and School of Education's Department of Educational Leadership and Division of Education Research and Service partnered to provide an enriching training program for 24 Kyrgyz educators. Over the course of a month, the visiting educators participated designed to support the efforts of the Kyrgyz Ministry of Education to modernize primary and secondary education through student-centered curriculum, improved learning assessment, and the development of new textbooks and other learning materials. In addition to the lectures and seminars held on campus, they participated in sixteen separate field observations across the state involving five separate school districts as well as state government. The participants met with school principals, teachers, students, school superintendents as well as the Montana's State Superintendent, Linda McCullough. These experiences provided the participants a view of pre-school/early childhood education as well as elementary, middle and high schools educational systems. In 2002 President George Dennison traveled to the Kyrgyz Republic to sign a collaborative agreement with Naryn State University committing to cooperation and academic exchange. The Rector of Naryn State University, Almazbek Akmataliev, spent 5 months as a visiting Fulbright scholar at UM from October 2003 to March 2004 to learn about American Higher Education. In addition, Taalaibek Karpekov, head of International Programs at Naryn State University, spent several months at UM as part of the collaborative agreement. This three year program was a collaboration between The University of Montana and Osh State University (Kyrgyz Republic). The program helped Osh State's Faculty of Law develop curriculum and teaching methods based on American models, particularly in clinical training and the integration of theory and practice in the classroom. A two-way faculty exchange program over three years assisted Osh State to develop a mission statement, define relevant and necessary learning outcomes, integrate theory and practice, and assess student performance. The project established the Central Asia Law Institute (www.umt.edu/cali) at The University of Montana to help promote on-going relationships among professional colleagues in the Central Asia and Caspian Basin region. The program was funded by the United States Department of State. Five Osh State University Faculty of Law members visited UM. They observed UM Law School's in-house and external clinics, observed classroom teaching, reviewed syllabi and lesson plans for both classroom and clinical education., and participated in seminars on teaching and clinical legal education. They attended lectures in international and comparative law and presented lectures in the Central and Southwest Asia Program and at the Law School. In 2007, UM law faculty conducted a national conference on legal education in Bishkek. The well-received conference included the first Russian translation of the US's Clinical Legal Education Association's 2007 treatise, "Best Practices in Legal Education." In 2001, UM and UMLS led a water law, policy, and science team of experts to Bishkek to conduct a 1-week workshop, along with a comprehensive review of Kyrgyzstan's water laws and treaties. Beginning in 2003, in conjunction with the Montana National Guard, UM and UMLS have conducted rule of law and law of war training for Kyrgyz officer cadets. The next such training (for cadets from the Bishkek High Military College) will take place on September 12-13, 2007. In 2004, UM and UMLS faculty conducted a legal education needs survey of all of the Kyrgyz Republic's major universities. In 2006, UM hosted then Education and Science Minister, now Vice Prime Minister, Nur uulu Dosbol and former Education and Youth Minister Camilla Sharshekeeva. In 2007 Education and Science Minister Osmonaliev Kanybek spent five days at UM collaborating on a forthcoming treatise on the culture, religion, and history of the Kyrgyz people. Minister Nur uulu is planning a second visit in Fall 2007. UM and UMLS have inked partnership agreements with the Kyrgyz State Academy of Law and American University - Central Asia. With assistance from the Central and Southwest Asian Studies Center at The University of Montana (UM) in spring 2008, the Missoula County Public schools (MCPS) submitted a proposal for and received a Foreign Language Assistance Program (FLAP) grant to the U.S. Department of Education to introduce Arabic language and culture courses to MCPS middle and high schools. The UM's team of individuals with diverse backgrounds, skills, and areas of focus has been working closely with the MCPS to stream line the work needed to ensure the success of the program. In summer 2010, the Center assisted MCPS in creating the curriculum outlines for the academic year 2010-2011 and in designing and implementing the Arabic language summer camp. The Center provides consultations in various areas, such as linguistics, culture, and technology. 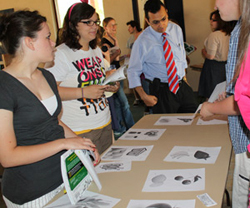 The Central and Southwest Asian Studies Center has been offering an intensive Arabic summer program for high school students, funded by STARTALK grants in summers 2008, 2009, and 2010. STARTALK is one of the programs of the National Security Language Initiative (NSLI) and is administered by the National Foreign Language Center at the University of Maryland. The main goal of STARTALK programs is to expand and improve the teaching and learning of strategically important world languages for US national security, such as the Arabic language. MASI is offered in two levels. It is open to students from the seven high schools in Missoula and the surrounding rural areas. Students develop Arabic language skills (listening, speaking, reading and writing) and cultural knowledge at the novice-mid (for level 1) and novice-high (for level 2) proficiency levels based on the American Council on the Teaching of Foreign Languages' (ACTFL's) guidelines. Instruction is conducted in a fun and academic environment. The University of Montana recently completed the third portion of a $649,000 USAID grant entitled "Pakistan Teacher Education and Professional Development Program," (PTEPDP) from the Academy for Educational Development (AED). PTEPDP will bring as many as 200 Pakistani teachers to Missoula over three years. The goal of the project is for Pakistani educators to learn about contemporary issues in education and to update their knowledge and teaching skills in mathematics, science, and English as a second language. PTEPDP will provide the knowledge, training, and infrastructure necessary to help officials and citizens develop high quality education programs for teachers throughout Pakistan. Additionally, the project has been designed to promote cultural understanding between the U.S. and Pakistan. This initiative is being organized by the Central and Southwest Asia Program, under the direction of Professor Mehrdad Kia, in collaboration with the Department of Mathematics, Department of Chemistry, and the English Language Institute. This program, conducted in March of 2004, provided training to 14 professionals from a consortium of Palestinian businesses, NGOs, and government offices. The training of Palestinian telecommunications experts focused on legal and procedural issues in telecommunications, international collaboration developments in wireless communication, and regulatory issues. Sponsor: United States Telecommunications Training Institute. The University of Montana has established academic exchange agreements with Tbilisi Institute of Asia and Africa and Kutaisi State University in the Republic of Georgia. The first representative from Tbilisi was a scholar who came to UM to teach Persian language in the Department of Modern and Classical Languages and Literatures in 2003. In the spring of 2004 two more scholars from both institutions came to UM for a semester of professional training and cultural immersion. The focus of the training was on American Studies, however, other subjects including Information Technology Training and electives in various departments were also part of the curriculum. Two scholars followed in the fall of 2004, joined by two Persian instructors from the same Universities. UM is currently hosting one scholar from Tbilisi Institute of Asia and Africa and a scholar from Kutaisi State University for fall 2005 semester. In addition, a Persian instructor from Kutaisi State University is teaching at UM for the 2005-2006 academic year. Groups of Russian leaders participating in the Teachers to Teachers: Language, Technology, Math, and Science Exchange (LTMS) spent much of October 2007 and October 2008, in Missoula examining effective high school teaching strategies and curriculum. LTMS, a program of the Bureau of Educational and Cultural Affairs, United States Department of State, and administered by the American Councils for International Education: ACTR / ACCELS, identifies and rewards Russian educators with concentrated professional development, short-term internships, and workshop design. LTMS gives Russian educators from across the curriculum the opportunity to collaborate with U.S. counterparts to develop new teaching methods, create or expand materials and curricula, and to prepare professional development workshops for colleagues in their home country. While in Montana, the teachers received hands on practice developing curriculum, incorporating information technology into lesson plans, and visited Big Sky, Hellgate, and Sentinel High Schools. 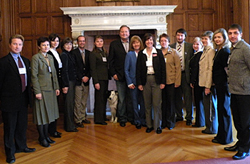 The visiting teachers were from across Russia, many from near Moscow and were welcomed on October 4th at an opening reception by Montana Governor Brian Schweitzer. The University of Montana's Central and Southwest Asia Program and the School of Education's Division of Educational Research and Service jointly administered the project in addition to designing the schedule of activities, and facilitating many of the sessions and experiences.